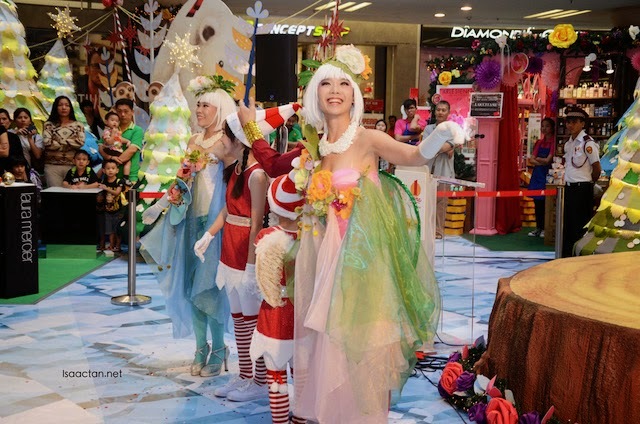 So there I was at 1 Utama Shopping Centre the other day to witness the launch of their 'Rustic Woodland Christmas - Love & Joy' Christmas 2014. 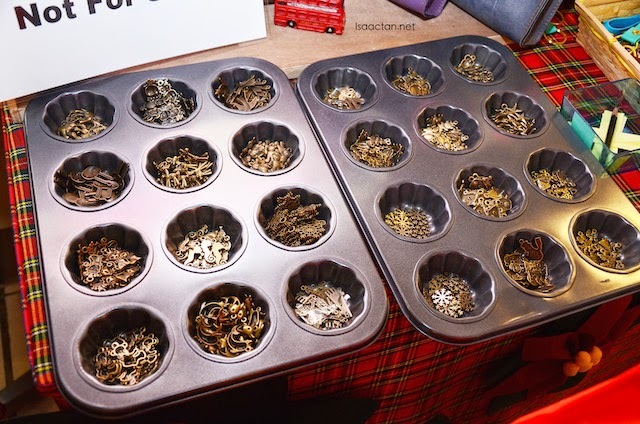 Thanks to The Butterfly Project, I had first hand experience of the Christmas show as well as some lovely handcrafted stuff and noms. 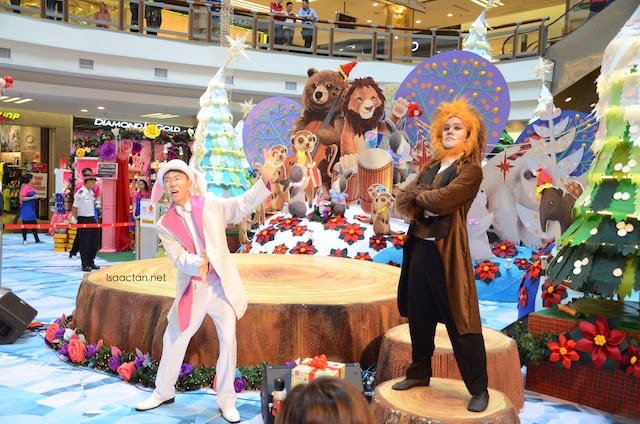 Check out below on a glimpse of what's happening at 1 Utama this Christmas season. 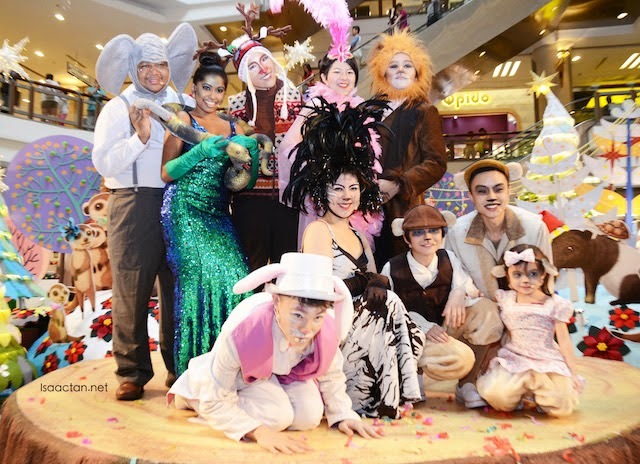 From 28 November to 28 December 2014, 1 Utama will be warming the hearts of many with its lovely Yuletide celebrations again this year that include exclusive musical productions, children arts and crafts workshops, Christmas bands and carolers. This year the Christmas theme evokes a warm and cozy ‘Rustic Woodland Christmas – Love and Joy’ that filled with families of adorable furry friends. From cute chubby polar bears, foxes, elephants, raccoons, squirrels, meerkats, owls to many other fascinating characters; everyone of all ages can have a jolly good time at the joyful woodland forest. Snow-capped Christmas trees with glistening fairy lights and beautiful ornaments add to the atmospheric decorations of the ‘Rustic Woodland’ theme as well, spreading holiday cheer to all the shoppers. I found the decorations a tad crowded, but I guess it can be 'warmer' that way. Enjoy exciting shows and special programs like marching bands, choirs singing your favorite carols, and well-choreographed dances lined up for you this season! 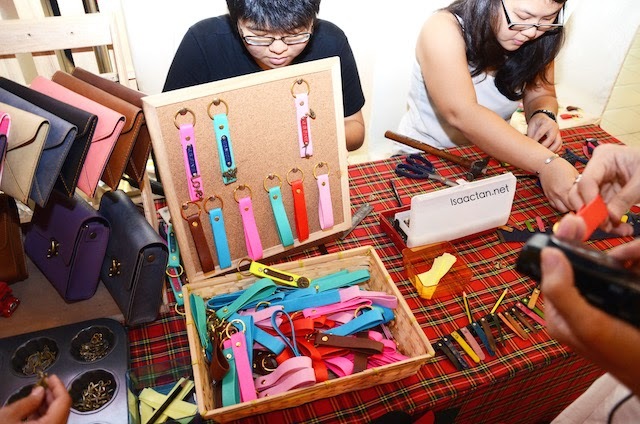 I personally loved the fact they had these personalized key holder making service by Juize by Five. You choose your leather strap and the charms to add unto it, and they will stamp out your name personalizing it. Overall it was a good day out, where I got to know more about the activities lined up by 1 Utama for everyone this Christmas. Check out below on some of the Christmas promotions and activities, and be sure to bring your friends and family to 1 Utama this Christmas season! 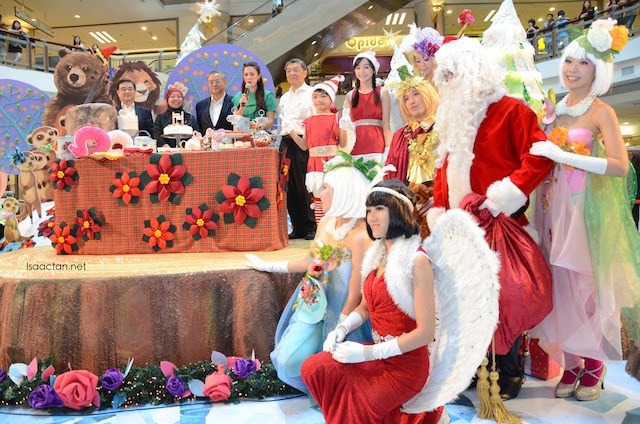 Santa and his team at 1 Utama are busy organizing Christmas activities and treats in store for kids. Bring little ones to play the day away at 1 Utama. During the workshops, children will have fun joining in, making their own arts and crafts to take home to share with all their friends and family. Get a 1 Utama Desk Calendar 2015 for free with purchases amounting to RM150, single or max combination of 2 receipts. ONECARD members are entitled to two calendars a day and one calendar for non-members. Pick up a Christmas Redemption Card and collect as many stickers as possible to redeem exclusive Christmas gifts at Ground Floor Highstreet (opposite the customer service centre). For every RM150 purchased (max combination of 2 receipts dated on the same day) at any ONECARD outlet, receive one sticker and one magnet for a tiered-redemption, whilst stocks last. 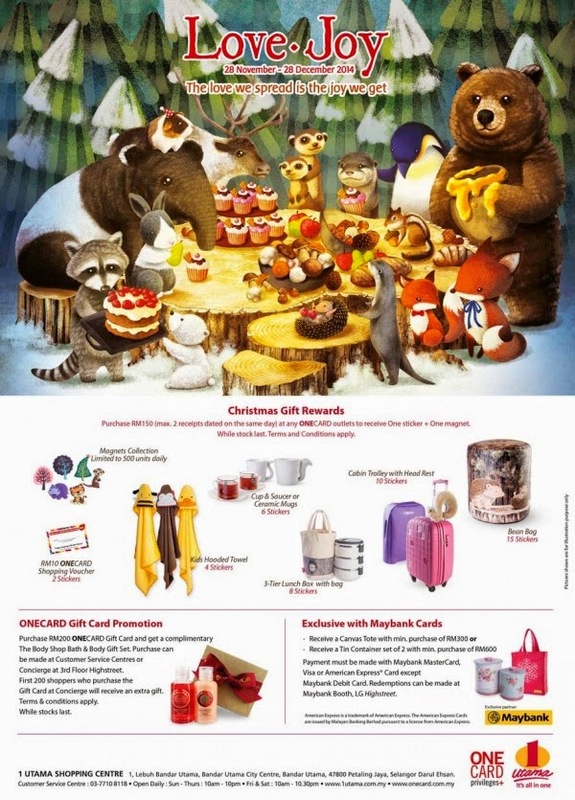 The specially-themed gifts include RM10 ONECARD cash vouchers (2 stickers), kids hooded towel (4 stickers), cup set (6 stickers), 3-tier lunch box (8 stickers), cabin trolley with head rest (10 stickers) and bean bag (15 stickers). Purchase RM200 ONECARD Gift Cards and receive a lovely The Body Shop gift set (limited to 3 sets per day). The first 200 shoppers purchasing it from the ONECARD concierge on 3rd floor Highstreet will also receive an additional shower gel (limited to 1 per day). 1 Utama’s exclusive Christmas partner Maybank is also giving away a Canvas Tote with min purchase of RM300 or a Festive Tin Container set with min purchase of RM600 for purchases made with Maybank MasterCard, Visa or American Express excluding Maybank Debit Card. To redeem, simply drop by the Maybank booth on lower ground floor Highstreet. Beautiful! I wish they did not have that Frozen Christmas tree though. Overkill!!! They've used the theme, and sung the song to death! Tsk! Tsk!